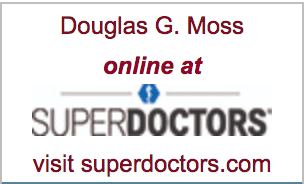 Douglas G. Moss, M.D., F.A.C.O.G. Park Avenue Women's Center Providers Douglas G. Moss, M.D., F.A.C.O.G. 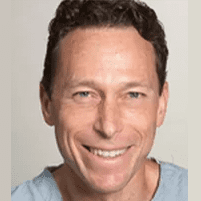 A passionate and experienced OB/GYN, Douglas Moss, MD, FACOG, provides New York-area women with the best in individualized health care at Park Avenue Women’s Center located in Yorkville, Upper East Side. He has served women in the area for decades and remains deeply committed to caring for women on their own terms. Dr. Moss graduated from the University of Rochester in Rochester, New York, and Mount Sinai School of Medicine in New York City. He completed his internship and residency at Mount Sinai, too. He currently serves as an assistant clinical professor in the Department of Obstetrics, Gynecology and Reproductive Science at the Mount Sinai School of Medicine. He has been recognized as one of the Best Doctors in America by Best Doctors; has received the Compassionate Doctor Recognition Award on four occasions; and The New York Times Magazine named him a "Superdoc.” He co-authored the book "Understanding Pregnancy and Childbirth," as well as scholarly publications on inflammatory bowel disease during pregnancy. Among his interests and specialties is surgery for abnormal uterine bleeding, including minimally invasive surgery. He specializes in successful vaginal delivery for patients, as well as complex cesarean delivery. At Park Avenue Women's Center, we care about every patient. Please call our office if you have any questions about your payment plan, or the insurances we accept!